I&apos;ve got my eye on the weekend (I&apos;m doing my "It&apos;s almost the weekend!" dance), and it sure is a busy one in Hendricks County. There&apos;s a lot happening from family-friendly events with tasty fried fish to celebrating local art, and spending Father&apos;s Day (and thanking dad) with some auto racing! Let&apos;s plan the weekend. Here are a few highlights and what you need to know. 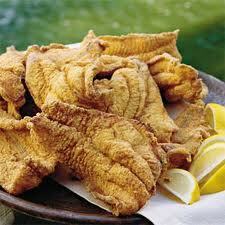 Let’s kick off fish fry season with one of the most popular ones in Hendricks County. The 63rd Annual Amo Fish Fry is Friday and Saturday. This popular, beloved festival is hosted by the Amo Fire Department and Cascade Youth League. Activities include an antique tractor show (with a tractor pull), games for kids, bingo, raffles, and live music later in the evening. Friday&apos;s events start at 5 p.m. Saturday&apos;s schedule includes a parade beginning at 2 p.m., more live music and a fireworks show at 10 p.m. And, of course you don&apos;t want to miss the terrific fish! You’ll find all the action at the Amo baseball diamonds. Interested in doing a bit of shopping this weekend while exploring historic Danville? The Handmade Market located at Danville&apos;s Courthouse Square takes place on Saturday from 8 a.m.–1 p.m. This fun event showcases items made by local artists. Purchase your own piece of art at the market. You’ll find a wide variety of items made by talented artists. Among the items you’ll find: hand-crocheted towels, gemstone and silver jewelry, glass panels for the garden and other one-of-a-kind items. 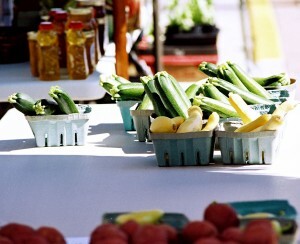 While you&apos;re there, visit the Danville Farmers Market to shop for local produce and other handcrafted goods. The market takes places from 8 a.m. until noon and is dog-friendly. After your visit, continue exploring the shops and restaurants that surround Danville’s Courthouse Square. The markets are located on the west side of the historic Hendricks County Courthouse on Jefferson Street. And, finally, I know what you’re thinking: It’s Father’s Day weekend. What about dad? 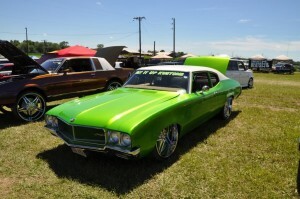 If your dad is like mine, he loves the opportunity to see cars on display and enjoys auto racing. My dad would love the opportunity to spend Father’s Day weekend attending the National Hot Rod Diesel Association&apos;s Diesel Shootout at Lucas Oil Raceway on Saturday. There’s plenty of speed happening as spectators watch trucks drag race along the straightaway. Luckily for dad the fun continues at Lucas Oil Raceway with Slamology, an auto and music festival which is held on Saturday and Sunday. At this festival there is a car audio contest, hydraulic car and truck demonstrations, music festival, and a water slide. For more on Slamology, check their official website. Lucas Oil Raceway is located at 10267 E. U.S. 136 in Brownsburg. Looking for more ideas on what to do this weekend or any other weekend? Check the Hendricks County Events Calendar for the latest happenings. Have fun this weekend in Hendricks County!